ASD - American Sheepdog - The Original American Sheepdog! Welcome to the American Sheepdog. For announcements, forum news & information. A place to tell it, the way you see it. A place to preach, rant, & rave. Stand on your soap box tell us how you feel about things. 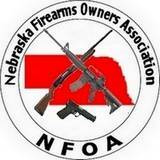 Talk with firearm instructors, discuss training and attending professional firearm training facilities. Classified section to purchase, sell, or trade gear. Posts will be monitored for illegal items. ASD will not be involved in the sales nor held accountable for the transfer of items.